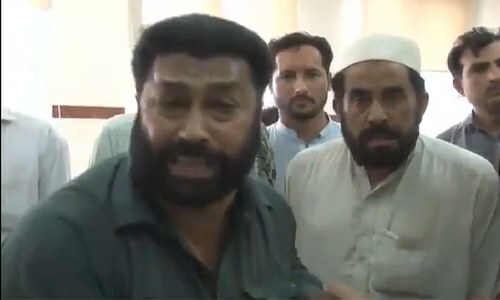 PESHAWAR: The killing of a Kohat woman by cousin for working with an NGO on Thursday triggered an outpouring of grief and condemnation on social media with social activists demanding the early arrest of the killer for punishment. 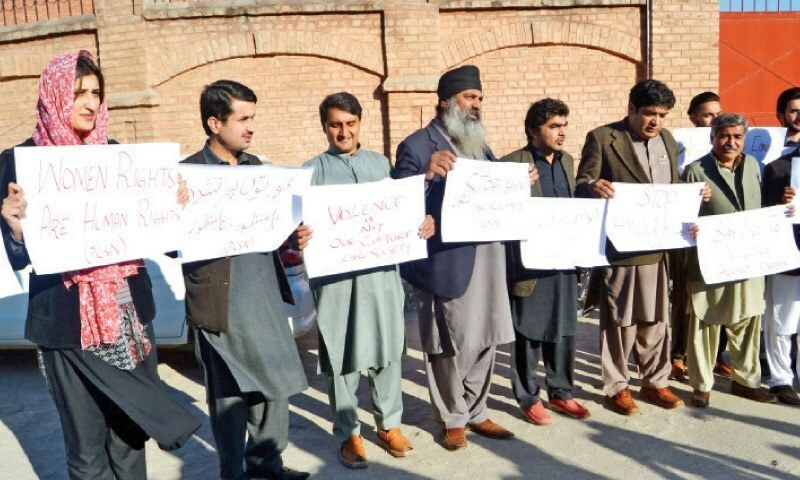 Holding placards and shouting slogans, representatives of different organisations protested the killing outside the Peshawar Press Club. They said the deceased was the sole breadwinner of her family facing hard times due to financial problems. “The provincial government and police department should provide protection to the deceased’s family members, who are receiving death threats from the killer’s family,” said Maryam Bibi, a former member of the National Commission on the Status of Women. She said there should be social support mechanisms to ensure punishment of the perpetrators of such crimes. “The deceased possessed an MPhil degree and was the only breadwinner of her family. 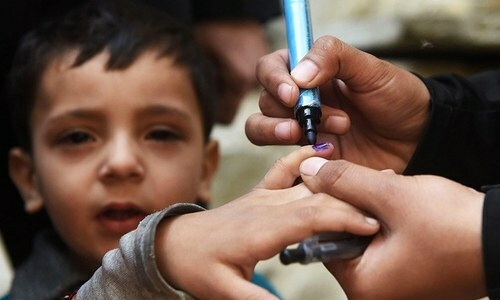 A few years ago, she began working in an NGO as her father suffered from cancer,” said Qamar Naseem, chief of NGO Blue Veins, which works for the rights of the disadvantaged people. Mr. Naseem claimed the father of the deceased had died, while her brother was killed and therefore, she had to care for his widow and two children. He added that after the death of husband, her sister and her son, too, became dependent on the deceased’s earnings. “It is very unfortunate that the provincial and federal governments have turned a blind eye to the growing incidents of violence against women,” said Taimor Kamal, coordinator of KP Civil Society Network. He said women were being killed in the name of honour on a regular basis but the relevant authorities were unmoved. A picture of the deceased wearing glasses and having a smile on her face has gone viral on the social media with the people flaying the killing and expressing concern about the recent increase in the cases of violence against women. Another picture taken after her death and showing her blood-stained face was also shared on the social media. The motive for the murder is stated to be annoyance of the suspected killer over the working of the deceased in an NGO as he reportedly believed that her employment had brought a bad name to the family. 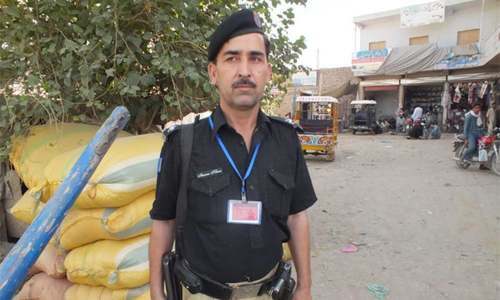 The suspected killer, Mahboob Alam alias Kako, has been absconding since he gunned down the NGO worker on Feb 6 in the jurisdiction of Kohat’s Ustarzai police station. “The incident took place inside a house due to which the killer managed to escape. We have been conducting raids to apprehend him at the earliest,” said an official at the police station concerned. The official said the deceased was an educated woman, whereas the killer was a watchman at a tubewell. The FIR of the incident was registered on the complaint of the deceased’s sister under Section 302 of the Pakistan Penal Code. The complainant told the police that she along with family members were present in the house when her cousin, Mahboob aged around 27 showed up and asked the deceased to accompany her to the basement. She said the suspected killer asked the deceased to quit work as it was bringing a bad name to the family and that she should stay indoors. The complainant added that when the deceased refused, the cousin took out a pistol and fired four shots at the deceased killing her on the spot. She said the suspected killer thereafter. The killer not only took the life of the lady, but by his heinous action destroyed the future of an entire family. kindly do not spare these SOB. women are not puppet the hand of men, they have same right as men have. This is narrow minded and shameful act. Activists are the easy targets apparently. She was an educated lady, The killer was a watchman at a tubewell. May be a case of jealousy. He may be interested in marriage to have hold of her earnings. The pathetic situation and status of women in Muslim society is well known. The government should take proper measurement and use media to bring them their right to earn and live with pride. Pakistan has a male dominated society. The time has come to understand that women are not less than men. They are even better than men. Law should be made to protect them and amendment should be made for their vacancies in government jobs and encourage them to learn and earn. Remember women have always played a vital role in the development of a country or a society. The woman was brave. The mindset of male gender should change towards female genders. They are no longer an object to satisfy your lust and grow your children. THEY ARE HUMAN BEING! And should be treated equally. Suppose if a man who is sole earner dies - and if his wife is not able to work- what will happen to his family post his death? the woman with the children will have to beg or suffer for livelihood throughout her entire life. Remember in your childhood - you played and lived happily with your sisters - what happens all of a sudden when you become young? Think? Your sister or your wife is not your competitor -they cannot be - they are your supporter - they do this for your and their family. The man killed his sister and destroyed the future of two families! In some way or other - are we different than the man? Change is required and should start from now on. Women must stand up for their rights. Remember revolution only brings change. I encourage each and every woman of Pakistan to demand the government for an amendment in the law that will empower them. He should be punished or else the writ of the State will be shown to be weak. The State machinery should not fall back on useless 'cultural' excuses. This jahaliyyat is the same as the Salman Taseer case. If women cannot earn their own livelihood then no one is safe.